Ebon Vanguards are an excellent source of information. Gwen’s scout wasn’t wrong about the charr shaman caste’s movement here. 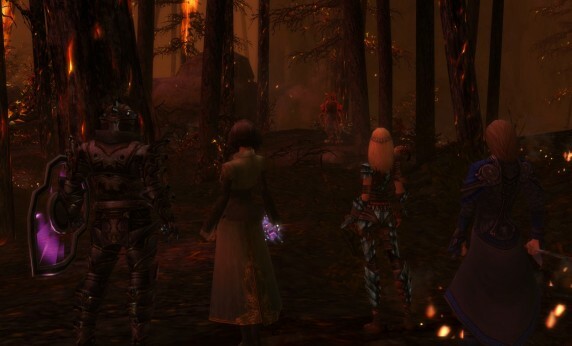 We spotted three charr Flame Shamans approaching the burning forest and hid ourselves to eavesdrop on their conversation. After hearing that, we ambushed them and made our way into the burning forest to stop the shamans. 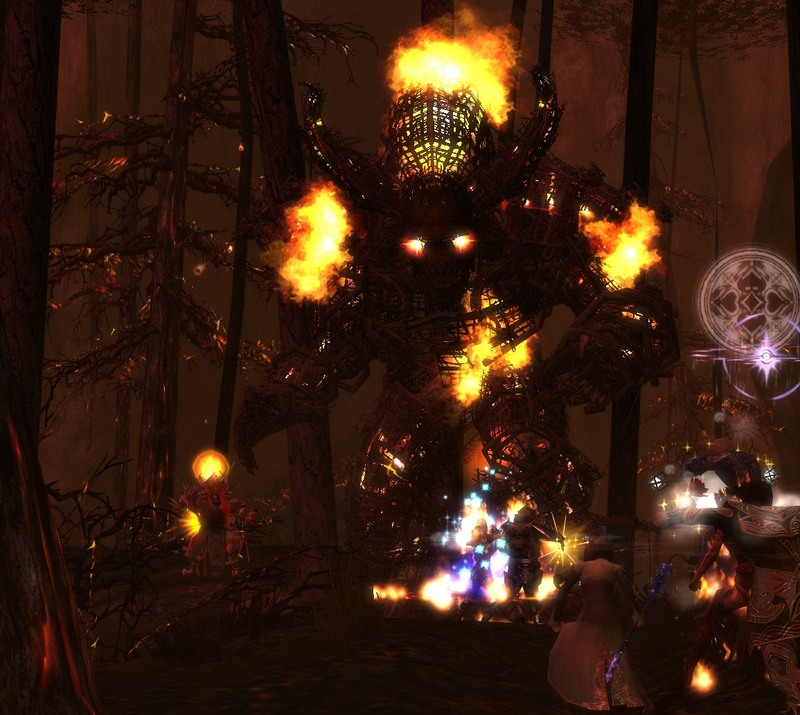 Deep in the burning forest, past the flame elementals and magma ooze, we confronted Straut Flamebourne and his band of charr. To our surprise, even though it was just one shaman, he was able to summon this huge charr effigy. We focused our efforts on killing Straut Flamebourne in the hope of at least disorienting the effigy, but it continued on attacking after his death. The effigy itself took a good while to destroy, and because Rogoth and I were so close to it, we suffered some burns. Together we traveled with Gwen to deliver the good news to the Ebon Vanguard’s Captain Langmar. I think out of all of us, Gwen was the most pleased. 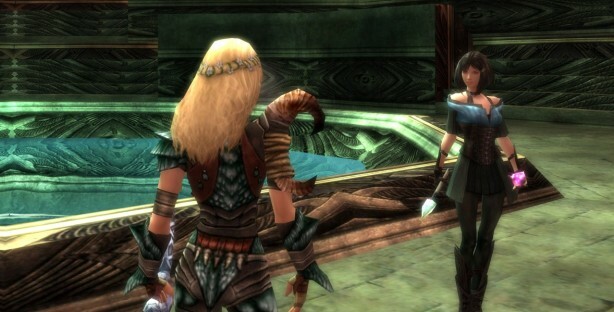 She’s spent so long in fear of the charr, watching them kill her people and destroy Ascalon. 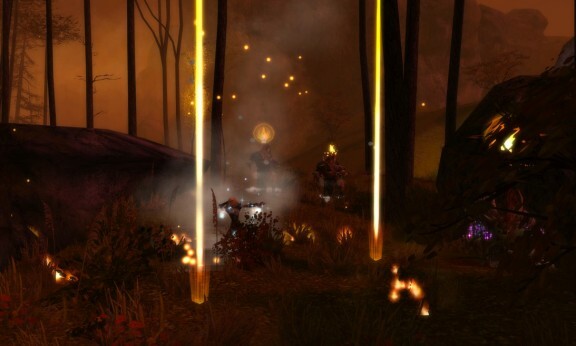 It must feel so good being able to stop a possible threat from the charr shamans, like another Searing. Friends: Elwin L., Rogoth I.